Click here for Market Insider information about Leavenworth, including market analysis and trends, community and school information, insider tips about home buying and selling, and much more! There’s a Bavarian village high up in the north central region of Washington state. Colorful, welcoming and postcard-perfect, the city of Leavenworth in Chelan County is no ordinary mountain town, not in the United States at least. If we’re talking about the Bavarian Alps, however, then Leavenworth would fit right in. Tucked in the midst of the towering peaks of the Cascade Mountain range, Leavenworth, Washington real estate wouldn’t look amiss in Bavaria’s Alpine region and that’s exactly how folks here want it. Once a timber and railroad town, Leavenworth transformed itself into “Washington’s Bavarian Village” in the 1960s, a move that has since then paid off very well indeed. Visited by more than a million people every year, Leavenworth never fails to charm with its Bavarian-themed architecture, specialty shops and delectable gourmet cuisine. And then there’s the view. Leavenworth, Washington real estate lies on the banks of the winding Wenatchee River, almost completely surrounded by the Wenatchee National Forest. Dominating its skyline are the snow-capped mountains of the Cascade Range, some of which soar more than 8,000 feet above sea level. Just around two and a half hours by car from Seattle and a little over three hours from Spokane, Leavenworth is a convenient get-away. More than a few people have fallen so far in love with Washington’s Bavarian Village that they’ve invested in Leavenworth, Washington real estate. Though small – its total area is only 1.2 square miles and its most recent population estimate is just a shade above 2,000 – Leavenworth has practically everything. Good schools, an eclectic selection of shops and innumerable recreation options from whitewater rafting to cross-country skiing make this small community well nigh irresistible. A festival-filled year (including, of course, Oktoberfest) and a nutcracker museum are icing on the cake. 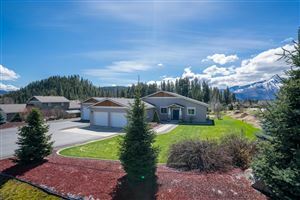 North Central Washington listings last updated Apr 22, 2019 5:17:pm. North Central Washington, the heart of the Evergreen State, is where all of Washington state’s contrasting elements converge. This is where sagebrush and evergreen grow almost side by side, majestic snow-capped peaks cast their shadows over flat desert land and the mighty Columbia River both murmurs and roars. Whatever lifestyle you want to lead, you’re certain to find everything you need in this distinctively beautiful region. You can revel in the scent of freshly picked apples in Wenatchee and follow the Apple Capital Recreational Loop Trail across the Columbia to East Wenatchee, Washington. Invest in Leavenworth real estate if you’d to try out life in the most authentic Bavarian village outside of Bavaria. If you have a sweet tooth, you might want to opt for Cashmere, Washington real estate, home of the makers of Aplets & Cotlets. 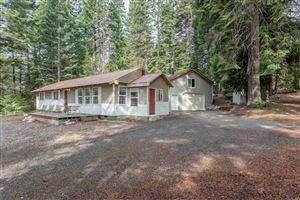 Those looking to relax will enjoy the peace and quiet that Malaga, Washington real estate offers. Let the knowledgeable professionals of the Davidson Team help you in your real estate needs in the beautiful North Central Washington region.